Meathead Movers is here to take care of the heavy lifting for you on your move to Venice. Our clean-cut student athlete movers are ready to get you safely settled into your new Venice home. Venice Beach, California is famous for its quirky vibe and expansive Ocean Front Walk. Moving to Venice Beach ensures that you’ll always be close to the action in the city and in the greater Los Angeles area. At Meathead Movers, we combine the best staff possible with over a decade of experience assisting individuals moving in and around Southern California. We are happy to be the Venice movers of choice. From canals to street performers to art galleries, Venice Beach boasts something for everyone. The city was founded as a resort town in 1905. Its original planners included canals meant to mimic those in its Italian namesake. Gondola rides around the Venice canals remain a popular activity for both residents and tourists alike. Some of the city’s older houses are situated on the canals. Away from the beach, Venice streets are filled with art galleries and non-profit art foundations. Exhibitions and shows are hosted throughout the city. Venice Beach’s Ocean Front Walk is a popular resident and tourist hub. The world-famous Muscle Beach lies along the walk, as do numerous basketball and volleyball courts. A bike path allows for leisurely riding down this famous strip. The Ocean Front Walk is dotted with a wide variety of restaurants and shops. Independent artists and street performers put on shows and sell goods along the Ocean Front Walk nearly year round. As your Venice Beach movers, we can ensure that all of your possessions will arrive in your new home safely and on time. We are familiar with the area and can make deliveries to any neighborhood in which you choose to live. Our movers are clean-cut student-athletes who receive incentives for providing you with great customer service. Our movers also jog when not carrying your possessions; make the most of your moving dollar. Our moving company specializes in local, long-distance, and commercial moves to, from, and within Los Osos. We also provide reliable packing, storage, on-site relocations, and our distinctive moving concierge service, which connects you with local service providers. If you’re new to the area, you may wish to take advantage of our completely free concierge service. Our friendly move concierge can offer referrals to cleaning companies, storage facilities and other service providers in the local area. You can trust our office staff to manage and track every phase of your move via our proprietary software system. Moving to Venice Beach should be as easy and stress-free as possible. We can help make the transition to your new home pleasant. Contact us today for a free, no obligation moving quote. 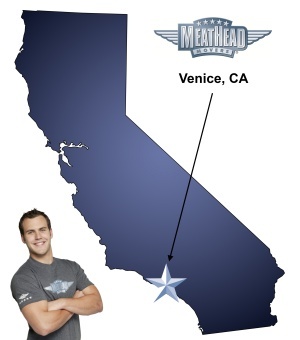 Meathead is proud to be your Venice Beach movers of choice. Everyone on the team was awesome and the process from start to finish was very professional. I would absolutely recommend to friends and family and use you guys again! These guys were so great to work with. Easy to talk to and worked very hard. Great attitudes and made for a pleasant experience. Friendly movers, efficient, no damage, fair pricing. We had packing done by Meathead. also very friendly and efficient. Meathead Movers packing service was great. The moving service met their commitments.